Last week, only two wool trades were agreed, and the relative quiet continued this week. Only four trades were dealt, with two of these being for crossbred fibres. Interest in crossbreds is higher than average, and that’s likely to be because of the good historic prices they are experiencing. 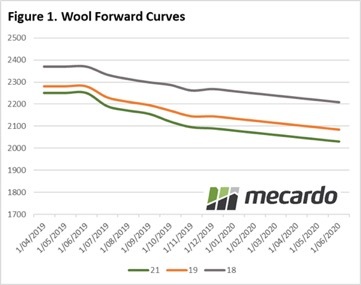 In the medium wool category, two trades were agreed for 21 Micron wool, both for June at 2250¢. In the coarse wool category, two trades were dealt for 28 Micron, both for September at 1100¢. It does feel that the forwards market has been quiet. The Australian dollar was slightly stronger this week compared to last week and has been trending slightly higher over the last month, which might give us some clues. The forward curve can indicate future behaviour. Because we’ve seen prices on the auction market falling, the forwards market curve has gone relatively flat, which leads us to believe we might be seeing a base and it indicates that buyers are fairly comfortable at these levels. 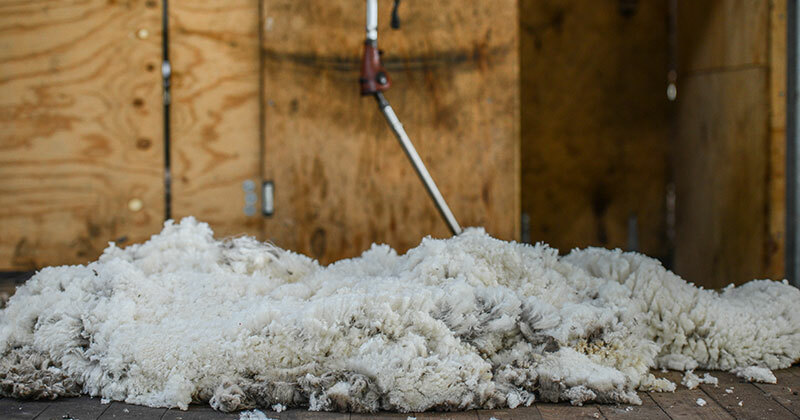 It’s hard to know for how long, with many factors influencing auction prices, but the wool market has been historically stable and it’s hard to see that it’ll change overnight.